Only half of Ukrainians are aware of their right to parental leave. Meanwhile almost 15% of women asked in a survey claim they were forced to quit their jobs due to pregnancy, birth of a child or frequent absences from work because of a child’s illness. These are some of the key findings of three studies conducted by the NGO, “League of Social Workers of Ukraine” within the framework of the EU-funded project, “Back to work: re-integration of parents to professional life after a parental leave.” The results of the studies, which examined the challenges parents face returning to work after parental leave, were presented and discussed during a special press conference on September 30 in Kyiv. 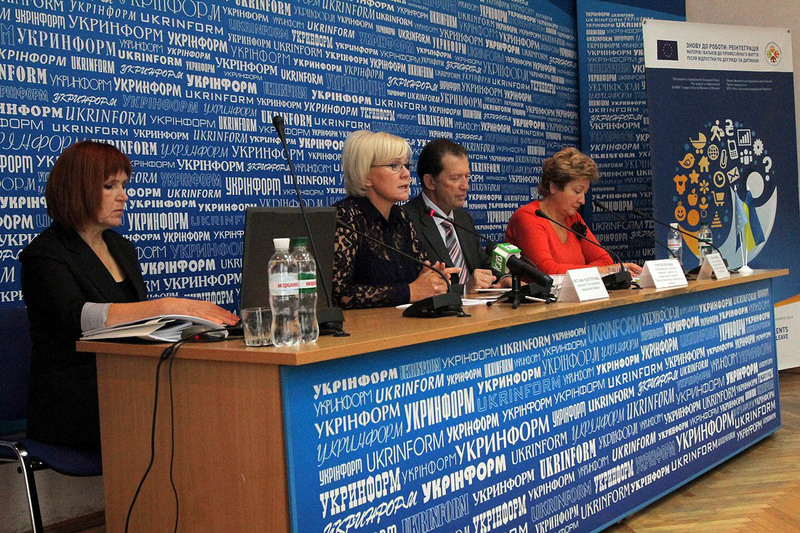 Svitlana Tolstoukhova, the president of the League of Social Workers of Ukraine, said the studies provide an overview of international legislation and best practices in the sphere of gender equality, and an analysis of the main challenges and demands faced by both Ukrainian employers and parents after or during parental leaves. “These studies showed that the reintegration of parents after parental leave is a real problem in Ukraine,” she stressed. Facing significant financial challenges, the overwhelming majority of Ukrainians have a major gap in knowledge about the country’s labour legislation. According to the study, 49.4% of Ukrainian citizens are not aware of their right to return to work after parental leave. Responses revealed that 29.1% of women claim they have been rejected for a job because of plans to have children, while 7.9% of women say they have been refused the opportunity to return to work after parental leave. According to Tolstoukhova, the results of the studies will form the basis for recommendations to Ukrainian employers, public authorities, local self-government bodies and other stakeholders for creating a viable and comprehensive model for reintegrating parents in the workforce after parental leaves. According to Serhiy Poliuk, sector manager on health and welfare of the EU Delegation to Ukraine, such a model will be advantageous for Ukraine in its attempts to align with EU policies as issues related to gender equality and parental leave are vital for the European Union. “Gender equality is a part of the Association Agreement that is being negotiated between the EU and Ukraine,” Poliuk reminds, adding that over the past five years the EU has funded the implementation of several parental leave-related projects in Ukraine, amounting to an investment of €16 million. Funded by the EU and run by the NGO, “League of Social Workers of Ukraine,” the “Back to work: reintegration of parents to professional life after a parental leave” project aims at creating a favorable environment for parents returning to work after a parental leave. In order to achieve this goal, the project seeks to build a comprehensive model for parental reintegration that will be piloted with employers in five regions of Ukraine. The project started in December 2012 and will continue until December 2015. For more information please visit: http://znovudoroboty.org.ua/en/.